Start taking classes at Athena Vertical Dance and other studios! 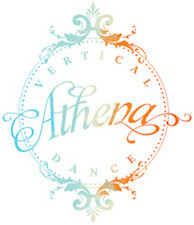 Athena Vertical Dance is an aerial arts and pole fitness studio located in Tacoma Washington. They have many different classes offered daily to accommodate the busiest of schedules. Their instructors are well trained and happy to help you get gfit while having a great time! Please come dressed in shorts and a tank top or sports bra. Please make sure you are lotion free so you can grip the pole. Fantastic workout. I was probably the worst and the most novice. I was sweating and had a blast. The instructor made me feel so at ease. I will probably try one more time to see if I am fully committed to explote the art of pole dance workout. So far I am extremely pleased with my experience. Class is challenging but has good vibe. CeeCee is the bees knees! I cant say enough positive things about this place! The instructors are great, the other students are fun, and everyone is so encouraging. Incredibly fun and what a great workout! This was my first time going to a pole fitness class and I had a blast. I was super awkward and couldnt do half of what was being done, but I had so much fun trying! The instructor and students were all very friendly. I will definitely be back! After settling in the instructor was really helpful and kind. She knew how to introduce me to challenging moves with an easier one in between so I would feel confident again to try something new and more difficult. I liked her a lot. I'm just not sure pole is for me. PHENOMENAL experience! Teacher was amazing, very dedicated to individual students needs. WI'll be coming back!!! !